Elis practises exclusively in the field of chancery and commercial litigation and is a specialist in property and estates work, particularly in the field of contentious and non-contentious trusts, inheritance and estate matters, real property matters and landlord and tenant disputes. He also conducts property and affairs cases in the Court of Protection. Elis has additional expertise in company and commercial disputes, including shareholder and partnership disputes, claims arising from commercial fraud, asset finance matters and claims involving the misselling of payment protection insurance. In addition to his technical legal excellence, he is highly praised for communicating effectively with clients to identify the realistic conclusion for the case. Elis also takes pride in his ability to think tactically about how to best achieve that goal once it is identified. Elis is a fluent Welsh speaker and has significant experience in using the language in a legal context, both in written work and in court. As an enthusiastic speaker of the language, he is always pleased to advise clients about bilingual or Welsh language litigation. A respected expert in the field, Elis enjoys a busy property and estates practice. He is highly sought after to advise and draft pleadings and applications in all of his specialist areas, together with non-contentious drafting such as settlement deeds and trusts. Elis has notable expertise across the field, including trusts, probate, inheritance and estates, as well as property and professional negligence. He is frequently instructed in trusts disputes, non-contentious trusts matters such as construction and applications, Re Beddoe applications and Variation of Trusts applications, and TOLATA/proprietary estoppel claims. His probate and inheritance work sees him advise on all aspects of estate administration (with removal of executors and administrators a particularly common field), Inheritance Act claims and contentious probate claims, together with associated claims such as undue influence matters or professional negligence matters against estate practitioners and solicitors. A large part of Elis’ practice is property-based and deals with the rights and obligations of real property ownership. He frequently acts in boundary and easement disputes, property development disputes (particularly those involving overage, clawback or contractual interpretation) and landlord and tenant matters. His agricultural background means that he has a particular interest in agricultural holdings and the law relating to them. Acted for the Claimant in a claim seeking the setting aside of lifetime transfers of property and money on the grounds of undue influence. Acted for the successful Claimants in a claim seeking the Court’s directions as regards the true construction of mirror wills. Raised a novel point concerning the interplay between survivorship clauses in wills and the commorientes principle. Acted for the Claimant in a Variation of Trusts Act 1958 application concerning a resettlement of a £2.2m estate. Acted for the Claimant, an unincorporated association, in its claim against the Defendants for enforcement of overage rights following the sale of development land. Successful in resisting summary judgment at first instance and on appeal before Morgan J; case later settled on favourable terms. Acted for the successful Claimants in a trial of a foreclosure action arising from the sale of land for development. The Defendant’s counterclaim, which sought in excess of £1m in damages and unjust enrichment, was dismissed virtually in its entirety. Acted for the Defendant administratrix in a two-day contested will dispute based on proving a copy will in solemn form; the case involved issues of capacity, the burden of proof, and the presumption of revocation by destruction. Instructed to represent the First Respondent in two linked Land Registry Adjudications, both listed for separate three-day hearings, involving applications to rectify the property register after fraudulent conveyances by identity fraudsters and the meaning of the term ‘proprietor in possession’ in the context of whether a mistake had been made for the purposes of the provisions of the Land Registration 2002. Elis is frequently instructed in commercial disputes at a high level. He has a particular interest in commercial fraud and the interim remedies that are often required in such cases. Elis is often instructed to deal with banking matters involving the enforceability of loans, mortgages and personal guarantees and is frequently instructed in asset finance matters which involve unusual arguments being raised. On the consumer side, Elis has a particular interest in claims involving the misselling of payment protection insurance (PPI) and has recently been quoted in the Financial Times and City AM in respect of the FCA’s guidance on the repayment of undisclosed commission elements in insurance premiums. He also has an interest in claims arising from the misselling of mortgage products and endowment policies, together with associated professional negligence claims against solicitors, valuers and independent financial advisors. Acted for the Defendant in long-running litigation against two former business partners. This decision concerned various procedural issues in an application for permission to appeal. Represented the second defendant firm of solicitors in a claim for the delivery up of the solicitors’ file. The claimant was convicted of armed robbery and asserted that he could not refer his case to the CCRC as the defendants were refusing to deliver up his case papers. Secured a dismissal of the claim against the second defendant at trial and an order for costs. 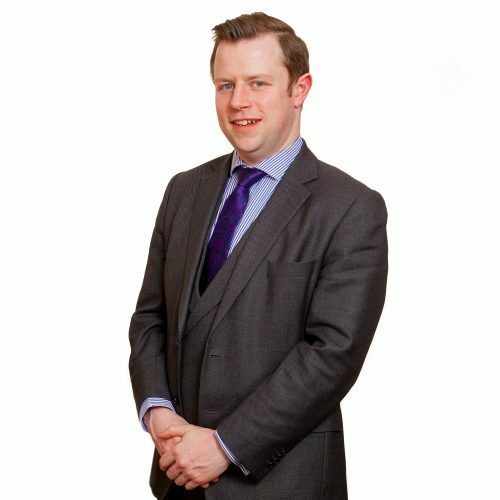 Elis has extensive experience in a wide range of property and affairs cases in the Court of Protection and sees this as a natural corollary to his work in the trusts and estates field. As one of the few barristers to complete the Association of Contentious Trust and Probate Specialists (ACTAPS) diploma, Elis has accredited expertise in mental capacity issues and the involvement of the Court of Protection in such matters. He acts frequently for the Official Solicitor and the Office of the Public Guardian in property and affairs matters.